Companies do not want to bring expatriates home: Despite the economic crisis, the majority of companies operating in Germany want to leave their expatriate professionals abroad. According to a study by PricewaterhouseCoopers (PwC), only one fifth of companies want to bring a part of their expat workforce home. Although 40% of companies want to cut their expatriation costs in the short term, the majority of companies expect their workforce abroad to increase in the long term. Expatriates leaving Hong Kong: While long-term expatriation rates are likely to increase, in the short term some expat destinations are hit hard by the economic crisis. According to predictions from Credit Suisse, Singapore faces an exodus of 200,000 expatriates as the city-state grinds towards the worst recession in its 43-year history. The number of people living in Hong Kong could shrink by more than 3 per cent to just 4.68 million by 2010, a shift that would severely undermine the government’s 22-year efforts to boost the population through immigration. 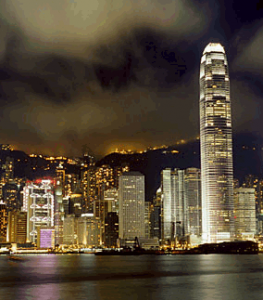 Between 2003 and 2008, the population of the city state soared nearly 18 per cent in an increase driven predominantly by foreigners moving to Hong Kong. 23% of Germans willing to emigrate abroad: The worldwide recession also seems to influence people’s willingness to emigrate. In Germany, the fear of poverty after retirement enhances the willingness of Germans to move abroad. In a recent study by Allensbach, 23% of young professionals said they would move to a country with a lower cost of living if their pension isn’t sufficient for retirement in Germany. Brain drain of Turks in Germany: Besides potential pensioners, Germany also faces a potential brain drain of academics from ethnic minorities. More than one third of students with Turkish roots would like to go to Turkey after finishing their studies in Germany. This is the result of a futureorg study among 250 academics. Depite a long family history in Germany which sometimes dates back decades, many Turkish students see better job oportunities in Turkey. In addition, many Turks still “don’t feel at home” in Germany, even if born in the country. Best cities for expats: So where should all these prospective expats go? According to the Mercer 2009 Quality of Living Survey, Vienna has passed Zurich to take the top spot as the city with the best quality of life for expatriates. Geneva retains its position in third place, while Vancouver and Auckland are now joint fourth in the rankings. Overall, European cities continue to dominate the top locations in this year’s survey. Dutch expatriates don’t integrate: The move abroad raises a range of challenges, and one of the biggest is the adapation to a new culture. A survey conducted by Radio Netherlands Worldwide indicates that Dutch expats abroad tend to stick together and fail to integrate. Of the 1100 Dutch abroad who were questioned, 63 percent differentiated between expats and emigrants. Expats were defined as people living abroad for a time because of their work. Emigrants were people aiming to make the new country their home, sometimes after retirement. While expats tend to stick among themselves, emigrants are said to do their best to integrate, and in the most part succeed. Most of them do not belong to a Dutch club and are not interested in contact with their compatriots. 10% of EU-migrants confronted with racism: While foreigners often fail to adapt to their new environment, they sometimes do not receive a warm welcome from the natives either. For the first time in history, the European Union has conducted a study on racism on a pan-European level. According to the study among 23,000 migrants, more than 10% of ethnic minorities have been confronted with some sort of racism. Romanians and Africans are those minorities that are most often confronted with racism. Does life abroad enhance creativity? Living in another country can be a challenge and a great experience, but new research from INSEAD and Northwestern University suggests it might also help expand minds. For the first time, the research looks at the link between living abroad and creativity. Dr Maddux and Dr Adam Galinsky, from the Kellogg School of Management at Northwestern University, conducted five studies to test the idea that living abroad and creativity are linked. The results showed that priming students to mentally recreate their past experiences living abroad or adapting to a new culture caused them, at least temporarily, to be more creative.